Somebody asked me recently, how do you sort an HashSet? For lists, we use the Collections.sort(List) method, but there is nothing for Set. If I have an HashSet then how would I go about sorting it? The answer is you cannot sort an HashSet, why? because HashSet is an unordered collection. When you insert an element in HashSet than you lose the order guarantee. You cannot do reordering or sorting in Set because it does not have random access methods (ie, .get() an element at a given index), which is basically required for sort algorithms. Though you can sort the HashSet by first converting HashSet to List and then sorting it. Also, some of Set implementation may keep the order intact e.g. LinkedHashSet maintains insertion order, which means you can sort LinkedHashSet but not HashSet. Alternatively, you can also use TreeSet to keep elements in the sorted order from the start. In short, you cannot sort HashSet directly but you can do so by converting it into List and then sorting a List and accessing elements from it in sorted order for further processing. If you are new in Java and wants to learn Java Collection framework in deep, then you can also check Java Generics and Collection book, one of the best on generics and collection. Here is a simple Java program which attempts to sort a HashSet first by converting it into List and also by using TreeSet, which is your sorted set. I have first created an HashSet of String and stored couple of names in arbitrary order. Later I have printed the HashSet to show that elements are not stored in any order. 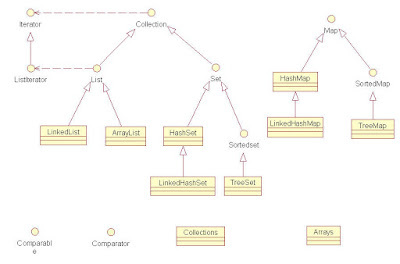 After that we have converted our HashSet to ArrayList and sorted it using Collections.sort() method. You can see elements in sorted order in our second print statement. But this is not the only way and you can also use TreeSet to sort HashSet elements as shown in second example . That's all about how to sort HashSet in Java. As I said, HashSet is an un-ordered collection and its not possible to store element in any order, but if you have to access elements of HashSet in sorted order then you can first convert it to List and then sort it out, but that's not the only way. You can also use TreeSet to sort the HashSet in Java.